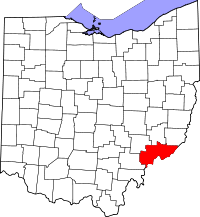 You can find information on obtaining vital records from Washington County, Ohio at the Washington County Health Department website. Here you can find information on obtaining marriage records, death records and birth records. You can access their website at http://www.washco-ohhealth.org/6. You can also visit http://www.odh.ohio.gov/vitalstatistics/vitalstats.aspx, which is the website for the Ohio Office of Vital Statistics. If you wish to make a request online for a certified copy of a birth certificate or death certificate, VitalChek is a great website to do so. It is a secure site and can be accessed at http://www.vitalchek.com. Online requests at VitalChek may incur additional fees. Note: $2.00 per page fee for all incoming faxes and you must have an escrow account.